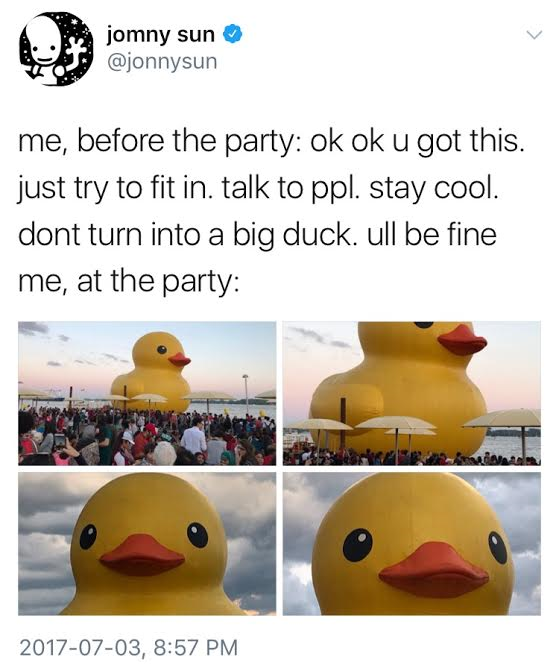 The giant rubber duck was actually all of us. Attempts to use the World's Largest Rubber Duck's $121,000 price tag to discredit Queen’s Park were drowned out by the estimated 750,000 people who witnessed the waterfowl on its first Ontario stop. The bird was a hit on Twitter by day and Instagram by night—and even got its own hedcut in the Wall Street Journal. After all, the duck offered viewers whatevever they wanted to project on it. A student politics shitshow for the summer. Ryerson Students’ Union appeared to officially unveil a “Colonialism 150” campaign, focused on the fact that university namesake Egerton Ryerson was an advocate of residential schools. A statement on the union's Facebook page contained a list of demands that included removing his statue and changing the name of the institution. 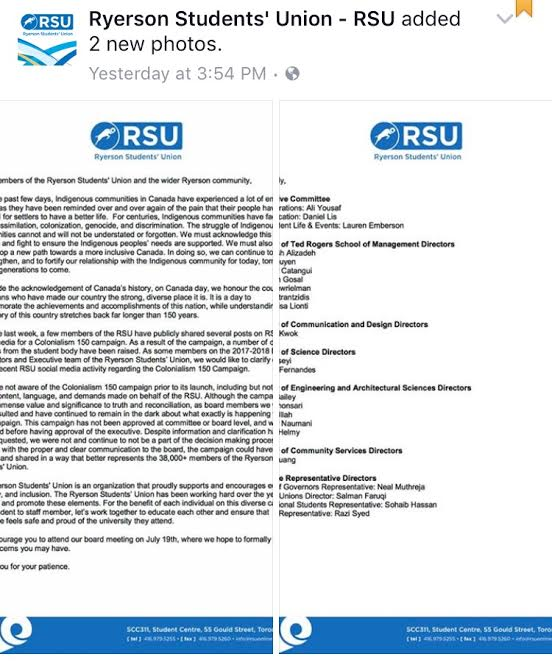 Now, a note from the RSU explains the message didn't have board approval. One capital “I” has been swapped for another. The Canadian Press has officially made “internet” a lower-case word, 13 months after its American counterpart. The announcement coincided with CP capitalizing Indigenous and Aboriginal. 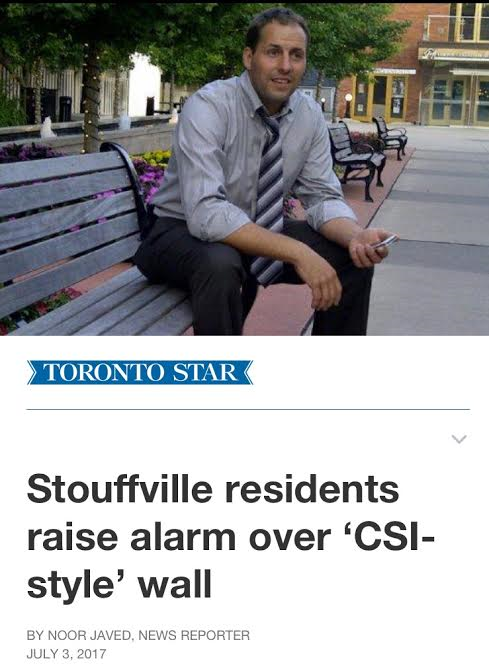 Stouffville’s mayor is under suspicion for a weird washroom. Justin Altmann, who last summer invited the whole town to his wedding, is on the Toronto Star’s front page after the discovery of “three walls covered in a large crime scene mural” in his office bathroom. The display incorporated photos of more than 30 councillors and staffers. (The number of faces on the wall equates with the number of people who have left their jobs with the municipality due to “dissatisfaction” or “lack of trust” under Altmann.) The town's integrity commissioner won't confirm that she's investigating complaints about the display. The next great Canadian reality show premise. 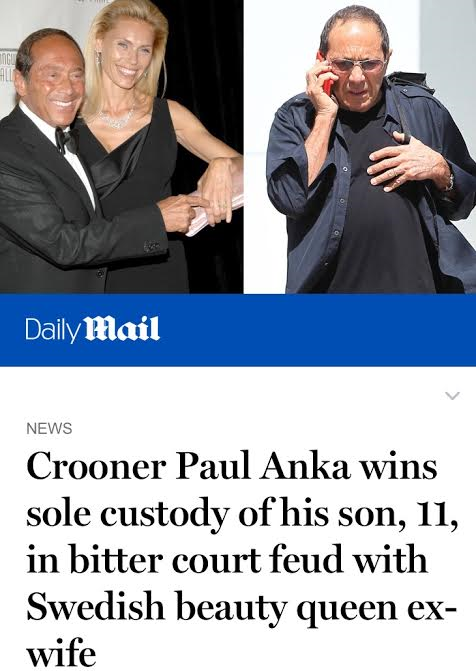 Paul Anka, star of the 1962 NFB documentary Lonely Boy, about his days as a teen idol, will now be responsible for raising an adolescent of his own, after winning sole custody of his 11-year-old son. The boy's mother, Anna Åberg, once accused by the "(You're) Having My Baby" crooner of only marrying him to score a role in Swedish Hollywood Wives, is now barred from having any contact with the child. Fear this rebranding of the cohort born between 1977 and 1983. The term, recently coined in Australia, is no doubt coming to Canadian newspaper columns near you.